This streaming service combines live TV and on-demand content at an inexpensive price compared to the satellite service. DIRECTV NOW has come a long way since it first came out and new features are being added. The video is crisp and a cloud-based DVR service will soon be available for customers. This service is best for the average TV consumer and casual sports fans. Channel offerings are similar to that of normal cable packages. Outside of ESPN the sports choices are limited. DIRECTV NOW (DTVN) is an online streaming video service. This service is entirely separate from the DIRECTV satellite TV service. Unlike the satellite version, DIRECTV NOW is a no-contract service that delivers live television through your internet connection to devices such as computers, tablets, smartphones, or streaming devices. It requires no installation, there are no extra fees, and you can cancel anytime. DIRECTV NOW is quickly becoming one of the top choices for cord cutters. I believe that this service has an experience that is the most similar to what many of us are used to. This streaming service offers a 7-day free trial and frequently offers some of the best deals out of any of the services. 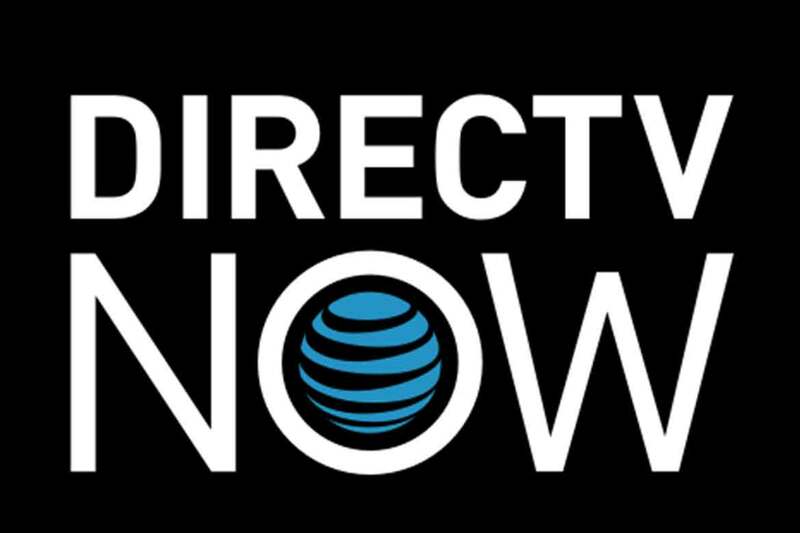 DIRECTV NOW is a subsidiary of AT&T and there are usually deals available for AT&T customers too. Some of these deals can you the lowest package for as little as $10/month or you could get a free streaming device. Subscribers can choose from four different packages that range from $35/month to $70/month. AT&T Unlimited Plus wireless subscribers can get DIRECTV NOW for $10/month, with HBO included at no extra charge. Live a Little: A&E, ABC, AMC, Animal Planet, Audience, AXStv, BabyFirst, BBC America, BET, Bloomberg Television, Bavo, CBS, C-SPAN, C-SPAN2, Cartoon Network, CMT, CNN, Comedy Central, The CW, Discovery, Disney Channel, Disney Junior, Disney XD, E!, ESPN, ESPN2, Food Network, Fox, Fox Business, Fox News, Fox Sports, Free Form, FX, FXX, Golovision, Hallmark Channel, Hallmark Movies & Mysteries, HGTV, history, HLN, ID, Lifetime, MSNBC, MTV, MTV2, National Geographic, NBC, NBC Sports, Nick Jr. Nick, OAN, Reelz, RFD TV, Spike, Syfy, TBS, TCM, TeenNick, Telemundo, TLC, TNT, TruTV, TV Land, Univision, USA, Velocity, VH1, Viceland, WE tv, WeatherNation. Just Right: Live a Little plus, AWE, Big Ten Network, Comedy.tv, Cooking Channel, ESPN News, ESPN U, Fuse, Fusion, GSN, IFC, Jusic Central, MLB Network, Nicktoons, Science, ESPN SEC Network, Sundance TV, Tennis Channel, Travel Channel, ONE, UniMAS, The Weather Channel minus Hallmark Movies & Mysteries. Go Big: Just Right plus American Heroes Channel, BBC World News, CBS Sports, Centric, CNBC World, Destination America, Discovery Family, Discovery Life, DIY Network, FM, FS2, FXM, Golf, Logo, MTV Classic, Nat Geo Wild, NBA TV, NHL, Olympic Channel, Revolt, Universal Kids, and Universo. Gotta Have It: Go Big plus Boomerang, Chiller, El Rey, StarzEncore Action, StarzEncore Black, Starz East, StarzEncore Family, StarzEncore Classic, StarzEncore West, StarzEncore Suspense, StarzEncore Westerns, and Univision Deportes. DIRECTV NOW is supported by a wide array of devices leaving subscribers with many options. Users have the flexibility to watch their favorite shows and movies in a variety of different ways such as at home on your television or on your phone while you’re on the go. Here is a list of compatible devices. Compatible Devices for TV: Amazon Fire TV Edition Smart TV, Amazon Fire TV media player, Amazon Fire TV Stick, Apple TV (4th generation), Chromecast (2nd generation and higher on Android & iOS devices, Chrome browser), Chromecast Built-in TV, Roku (select models). DIRECTV NOW only allows 2 concurrent streams, which means only two devices can be using the service at the same time. 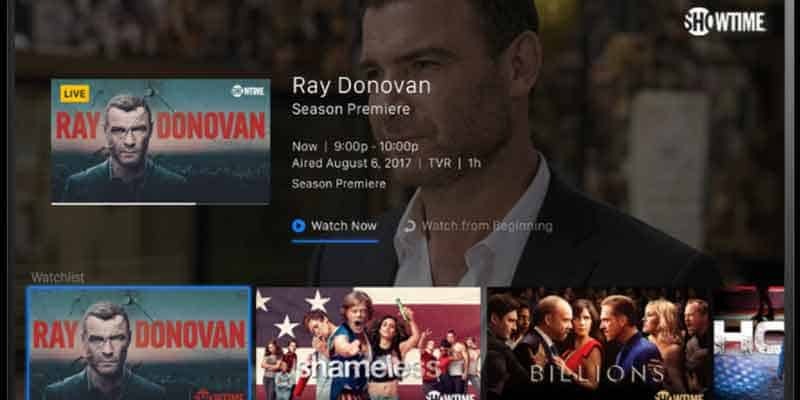 DIRECTV NOW does not currently offer DVR functionality; however, they are currently beta testing cloud-based DVR with certain subscribers. DTVN does offer a 72-hour playback feature which allows users to watch their favorite content on-demand. Users can choose from up to 25,000 shows and titles based on your subscription package. The cloud-based DVR will offer over 30,000 shows and titles. One of the features that streaming services have been lacking is a good TV guide. DIRECTV NOW has a pretty decent one compared to other services. You can also create your own personalized guide and you can watch and search the guide at the same time. The platform is smart and saves the channel that was on when you stopped watching. There are a few drawbacks. Episode information is still lacking. The pause, rewind and fast-forward options are very limited and depend on the channel you are watching. There is no access to the NFL Sunday Ticket or NFL RedZone. Also, there are no parental controls. Local channels are still an issue for many users. Unfortunately, this is a common problem for all streaming services. Local channel availability depends upon the market in which you live. You may get one or all of the local broadcast channels: ABC, CBS, FOX, NBC. This calculator is designed to demonstrate what your typical cost savings would be if you canceled your cable subscription and signed up for one of DIRECTV NOW’s streaming plans. First, enter the cost of your current plan and then choose which plan you would like. Click here to see our 2018 Cord Cutting Calculator that includes all services.